If you’ve driven along I-94 just north of St. Joseph you may have see an emergence of solar panels. 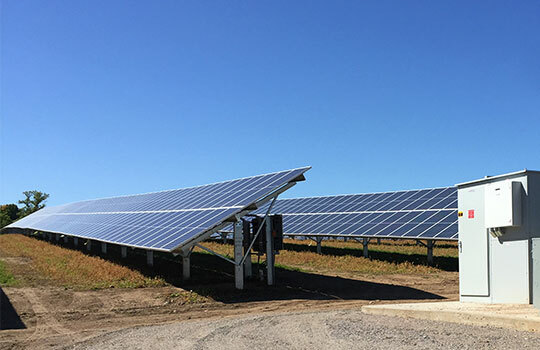 A new 19,440-panel project is now producing electricity, spread across 60 acres along side of Interstate 94. The project will produce enough equivalent energy to power roughly 1,040 average Minnesotan homes. Solar energy has benefits that extend beyond clean, cost-efficient energy. IPS Solar has been doing a lot of work with school districts and helping educators incorporate STEM learning into their curriculum. These systems create data based on power performance, solar irradiance and the weather. Students can chart that data, conduct experiments and learn about the technology.